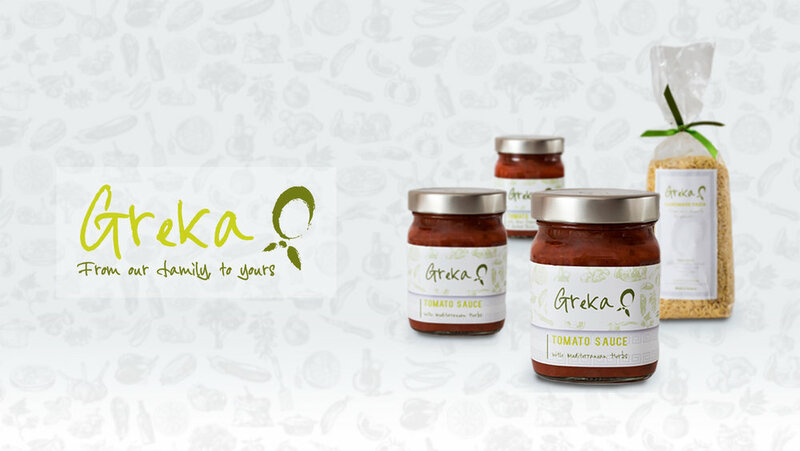 ‘Greka’ was our first startup company we partnered with and were fundamentally born out of love for Greece, its land and its produce. Their aim is to create products that would speak to everyone's heart by honouring and using the best natural produce mainland Greece has to offer. Their products are entirely hand made in Greece without the use of additives, preservatives or artificial flavourings. It was important to symbolise the authenticity of products in a visual identity. Greka wanted to celebrate tradition with a modern twist as they embrace the quality principles of the Greek Mediterranean diet. Creating Greka was a fantastic experience. We worked closely with the two founders in order to deliver the full brand package that they had envisioned. With such collection of thoughts for their dream business, we had to distinguish the key values of the company. With a detailed brief, ideas and suggestions, we were able to match their ideas into the delivered logo. From there, the brand flourished. We continue to support Greka with their marketing needs focusing mainly on social media attraction reaching almost four and a half thousand people on Facebook from one post. Although Greka was only delivering small number of sales to direct customers, they still found it essential to be able to sell their products online. With a user friendly system, we were able to deliver a website that they could manage.